Within one year, Eliab had obtained a car, a steady job, and applied to SPSCC. Currently, he’s finishing both his Associate in Biology and Associate in Science degrees, and he hopes to pursue a Bachelor’s in Mechanical Engineering degree at a four-year institution. He credits Charles Ensminger, former interim director of the Diversity, Equity, and Inclusion Center (DEIC), with helping guide him through times of emotional and financial hardship, as well as his peers at the DEIC for stepping in and supporting him when he was gravely ill and on the verge of living on the streets. Each year, the board of trustees from each of the Washington State community and technical colleges accepts nominations from staff and faculty for students whose lives were transformed by attending a community or technical college. 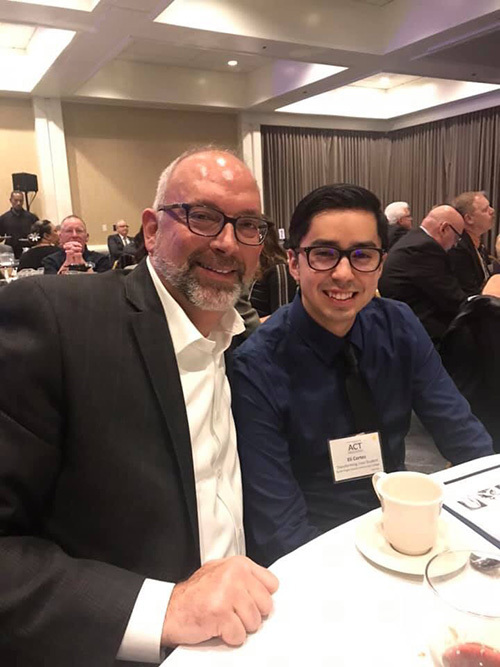 Eliab Cortes’ story was chosen from among five top nominations put forth by SPSCC staff and faculty in fall 2018. The stories of all nominated students are entered into a Transforming Lives booklet that will be shared with state and federal legislators to showcase how education helps overcome barriers, break cycles, and change lives. For more information on the Transforming Lives ceremony and its recipients, click here.